Raising dual purpose chickens has been the best choice for us. Having meat and eggs without two separate operations has made our life so much easier and more enjoyable! This eBook covers from brooder box to butcher day, plus a mini cookbook of a few of our favorite chicken and egg recipes! Before we started raising chickens, we knew we wanted two things. We wanted them for meat and eggs, and we didn’t want two operations. We read about how to raise meat birds and how to raise chickens for eggs. But it wasn’t always this way. Hadn’t it always been a single flock of birds at one point? Did we really want to start from scratch with new chicks in a brooder box every Spring? Then we learned more about heritage breed chickens and decided that this was the way we wanted to go. Dual purpose chickens were what we needed! 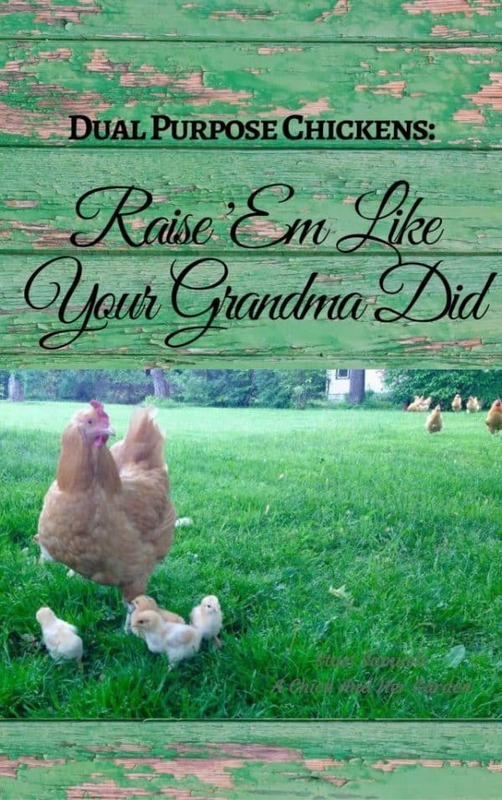 This eBook is filled with the details you need to know to raise dual purpose chickens, from brooder box to butchering day. And there’s a bonus! A mini cookbook with some favorite chicken and egg recipes is at the end!